Have you ever wondered what the benefits are now GDPR has been put in place? Email marketing has been a popular topic recently since the new GDPR law. Most companies have been given the impression that email marketing is difficult now because of the new regulations that have been put in place. The new legislation has meant that companies cannot send emails without asking for permission, people must opt-in to receive marketing emails. Yet, there are many benefits of email marketing and GDPR has had a few positive effects on the type of marketing. Read a few of these benefits below. As you must opt-in to receive marketing emails now, it has meant that those who do consent their permission have an interest in either your business or content. Whereas before many people would have been receiving emails that there not interested in and would have been left unopened because of a lack of interest. The data now is more accurate, as data that existed before GDPR has had to be analysed. Therefore, databases since the GDPR law are more accurate, relevant and up to date. Only relevant emails are sent to active customers, so because they have a genuine interest in your emails there should be a higher engagement and conversion rates. So, the emails will be going out to fewer recipients, but the return will be higher as the enquiries will be more genuine. When asking for consent to send emails you are telling them clearly what they will be receiving if they were to opt-in. The new law has meant that you must tell customers how you will use their data by providing privacy notes with a clear understanding of language. This will make them more confident in providing you with their data as they will be able to know why you’re collecting their data and what it will be used for. Levels of trust will improve and the relationships you have with your customers will strengthen. If the content of the email is interesting to read and grabs the audience’s attention, this could convert into a phone call or a live chat conversation. If your reader is interested in the content of the email, whether it’s exciting information from a blog or special offers then it is most likely going to turn into a website conversion. Another way is by adding your website link on the email, so the reader clicks on it. At the end, you could sign off the email with the name of a certain member of the team, which will make it more personal. Another way to market with a personal touch is by customising messages for your different audiences. A benefit of email marketing is that you can create lists, so you can choose who to send the email too based on themes such as location, career and interest for example. This way the email is more specific to your audience’s interests and it makes your email more beneficial for the right people. By sending out regular emails it will improve communication with existing customers, and it could build a connection with potential customers. If a call to action is used to finish the email this could lead to communication over the phone. An interesting email will excite your readers, such as fascinating blogs and tips. You can analyse which emails are opened the most, so you can see which type of emails are generating the most clicks and opens. Emails are accessible from many devices, with mobile phones being in favour as nearly 2/3’s of emails are opened on the device. Emails can also be opened anywhere with Wi-Fi or either mobile data, you don’t necessarily have to be sitting at your desk to view your emails, you could be sitting anywhere like a café, because of this a large audience can open them, so your business is vastly seen. Sending graphical emails constantly represents your brand, it will increase brand recognition with new and existing clients. Emails will extend your reach as interested viewers may forward or show your email. It is vital that your website is mobile friendly and responsive, as many people access the internet via mobile phones. It is important that your web pages render well on a variety of devices, windows and screen sizes. By placing links to your social media accounts in a visible place on your website it will encourage users to keep navigating the journey of your business through your other platforms. 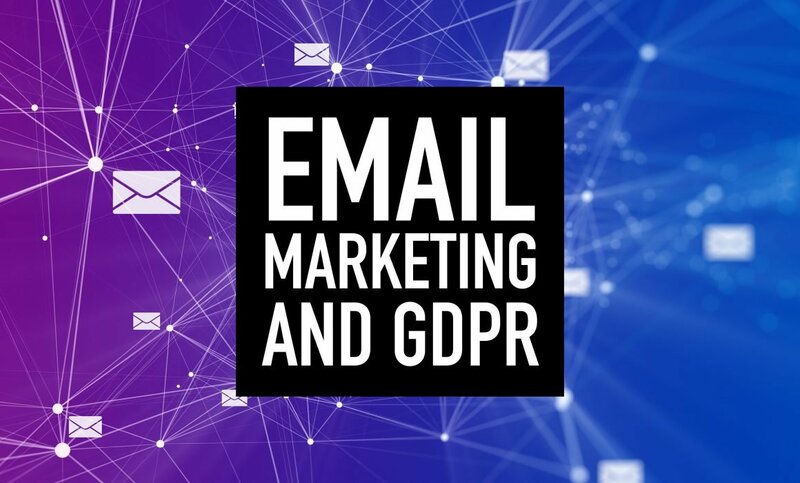 We hope after this read that you have a better understanding of the effectiveness and benefits of email marketing, and how the new legislation GDPR is positively linked. If you need any help with email marketing, then why not contact Emerge? Chat with us or email us at studios@emergedesign.co.uk or phone 01952 632750.